This month in Country Living you will be able to see a fun Halloween spread put together by Cathe Holden. They include some fun free printable poison labels that are a great way to dress up your favorite libations for a Halloween party. 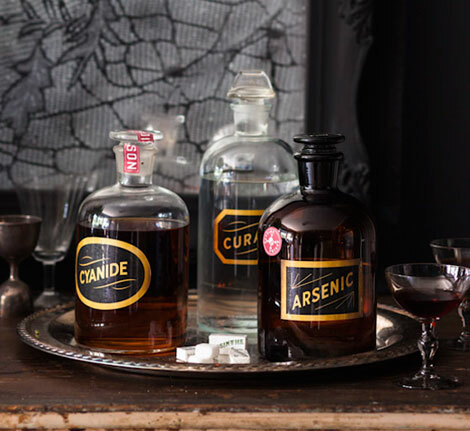 You can download a free copy of Cathe's Halloween Poison Labels over at Country Living. These are awesome, I went over to her blog and pinned 'em. Now I just need some jars for poison.